It’s that time of year fellow Canadians! Our beautiful country is cooling, snow is falling, frost is forming and the mercury is dropping. When winter comes, we all dream of a little slice of paradise. But we don’t have to limit our dreams to our screen saver, or to a week-long holiday. Some of us only crave a vacation once a year, while others wish we could spend our entire winters where the sun is shining and the air is warm. Well, we’ve got a few perfect places for all of you snow birds out there. From sleepy San Pancho to bustling Puerto Vallarta (PV), you might just be amazed at how livable and affordable the west-central area of Mexico can be. Spending winter abroad is not only a great way to avoid the frosty Canadian winters, but you can also save big money because the cost of living is so low in this region. PV and the Nayarit Riviera is possibly one of the best regions in the entire country to find affordable apartments and beautiful casas close to the water. If you’ve ever dreamt of relocating to warmer climates for part of the year, then Puerto Vallarta and the Riviera Nayarit may just be the perfect region for you. Because, the weather is beautiful, the people are friendly, the food is delicious and there are loads of good-value apartments! It is entirely safe here and you really can’t beat the value-for-money in this part of Mexico. You’ll find that you can cut your living expenses to a fraction of what you’d spend in Canada. Puerto Vallarta is in the Jalisco State of Mexico and it is just a 2 hour bus ride from the towns of San Pancho and Sayulita, which are located in the Nayarit State (along the Nayarit Riviera) and just a few minutes drive apart. Together, these three towns make up one of the most fantastic and livable retirement and expatriate communities in all of North America. Puerto Vallarta: We’ve all heard of this holiday hotspot, but did you know that most people who head to all-inclusive resorts in Puerto Vallarta, never actually see the city itself? Nuevo Vallarta (or New Vallarta) sprouted almost out of nowhere in the 80’s and 90’s and today it’s home to most of the area’s resorts and top-end hotels. But this tourism-built city is a concrete jungle which has none of the charm that you can find in the old Puerto Vallarta. Head further south along the coast, right into town and you’ll see the buildings slowly change from cement sky-scrapers and international hotels, to colonial Spanish homes and family-run shops. The paved roads suddenly turn to cobblestone, the tourists start to be diluted by smiling locals and you are officially in a Mexican city. If you’re looking for a nice apartment in a quiet area of town, you’ll want to look in old Centro (center), or Zona Romantica (Romantic Zone). Here you’ll find modern and quaint, 1-bedroom Spanish style apartments for around $500 – $600 / month. We recommend house hunting a few hundred meters from the shoreline, where leafy roads will give you the peace and quiet that you expect from a beach town. 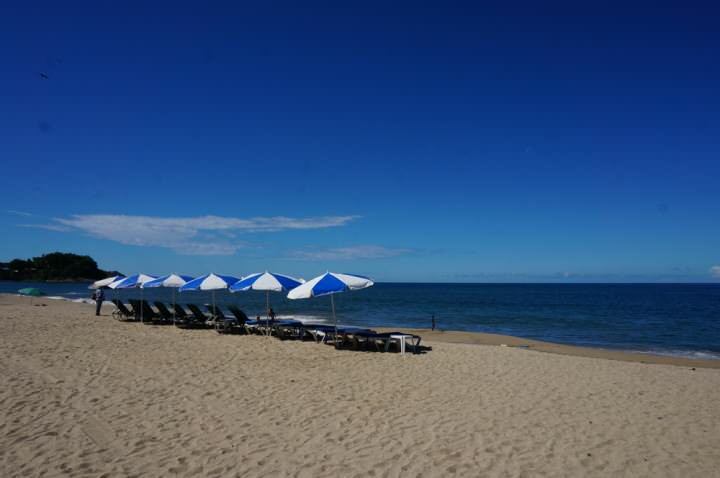 The best way to find a place in Puerto Vallarta is to talk to one of the rental agencies there when you arrive. Have them take you around town for a day. There are endless options in PV and you’ll have no problem finding the perfect temporary (or not-so-temporary) home for you. San Pancho: San Pancho boasts numerous western-style restaurants and cafes along the main road leading to the beach. It’s great to have a wide variety of Mexican eateries, but if you’re planning on spending a large portion of your life in a new country, it’s important to have some comfort foods that you’re used to eating as well. With just 2,000 inhabitants, San Pancho is the perfect size. It has a wonderfully small town feel, with friendly people, dusty streets and a quaint, village vibe. Here you’ll see barbecues smoking their spicy aromas into the street, fruit vendors calling out praise for their produce, and fishermen driving their day’s work through town tempting you to buy the fresh catch of the day. There’s a great feeling here in San Pancho. The main reason that San Pancho makes for such a great place to relocate to, is the wide variety of apartments, vacation rentals, casas and casitas for rent. There are so many beautiful homes here that you should have no problem finding the perfect place to stay for a week, a month or a year. Sayulita: If you’re feeling like Goldie Locks and Puerto Vallarta is too busy, while San Pancho is too quiet, you may want to head to Sayulita. This little beach town has twice the population and a larger beach than San Pancho. There are far more shops here and a good buzz throughout town. You still get some of the small town feel that you find in San Pancho, but not as much traffic and hassle as PV. The beaches here do have far more touts and hawkers, but they are generally friendly and just looking to sell you something. If you say no, they usually just move on with a smile. The cost of apartments and casas in Sayulita also comes in between the two cities above, but there are a lot more options than in San Pancho. Without a doubt the most popular time to visit Mexico is during the Canadian winter months from around November to early March. During these months, short-term rental prices can double and outside of PV the availability can be slim. The trick is to come in early to mid-October and rent your home right through Christmas. Arriving this early will ensure that you beat the crowds and you’ll have the biggest selection of places at the lowest possible rates. If you don’t mind coming in the off-season (from March to October) you’ll be able to find some outrageous discounts. Places that rent for $600 in the high-season are often just $300 in the low-season. This really depends on the time of year, the size of the unit and the amount of time that you rent it for. If you’re looking for a nightly or weekly rental, you’ll pay an escalated rate. If you are renting for a month or more, you’ll really see the savings add up. For example, average rental units in San Pancho rent for $70 CAD / night, $300 CAD / week, or $500 CAD / month. It’s obvious that the monthly rate is by far the best deal. Surprisingly, the cost of rent doesn’t vary too much between apartments in the three cities we’ve mentioned in this article. Expect to pay the least in San Pancho, 10% more in Sayulita and about 20% more in Puerto Vallarta. For a one bedroom apartment close to the center of town, with a nice kitchen, electricity and wi-fi included, you’re looking at anywhere between $300 – $650 CAD / month. 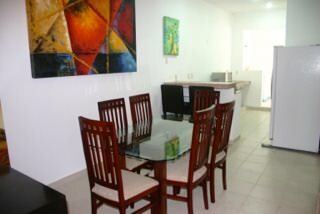 We found a 2 bedroom, 2 bathroom, 2 level casita in San Pancho for just $400 CAD / month and we were shown similar units (but more modern) in PV for around $500 – $600! How Do You Find The Perfect Place For You? This entirely depends on where you are looking. If you’re house hunting in San Pancho or Sayulita, then your best bet is to arrive in town and just look around. If you try to find a place online before coming, you’ll pay MUCH more than you need to. Fly into Puerto Vallarta, take a bus to San Pancho or Sayulita (1.5 hours / $3 CAD), check into a hotel for two or three nights and just look around. You can visit one of the rental agencies in town, but be aware that these agencies offer vacation rental places at expensive, vacation rental prices. If you want to find a great deal on a local place, you’ll need to walk through town and ask around. You’ll see signs that read “Se Renta” on the streets and they will have phone numbers. Get a local SIM card from the Telcel outlet in town, put it into your unlocked phone and call these listed numbers while you’re here. You can also knock on doors. You may think that this is a strange thing to do, but people here are used to it and they will always be happy to help you. We also recommend stopping in at Maria’s Restaurant and Cafe. Maria, the owner, is very friendly and extremely helpful and she should be able to point you in the right direction. Even if she can’t find you a home, she serves up tasty lunches and delicious coffee! Searching for an apartment in the high season can be difficult because the availability is so slim. Check out the video below to see how we got on, looking for a new home in San Pancho in mid-November! In Puerto Vallarta, looking for a place is a little different. Because the homes can be so spread out, or hidden within large apartment blocks, it is definitely easier to contact a rental agency. They will usually charge you a fee for their work, but given the time you will save, we think it’s definitely worth it. We recommend that you Contact Vista Legre if you’re looking for a place in Puerto Vallarta, they were fast to respond, reliable and spoke perfect English. You’d be amazed at how far you can get with hand signals and a few key sentences in Spanish. Once you’ve decided on a place, have a bilingual local, expat or tourist accompany you to a meeting with the owner to iron out all of the details. What is the Cost of Living in this Region? After you pay for your apartment (budget around $400 – $600 CAD / month), your living expenses will actually be quite low. You can eat out for as little as $3 CAD, Coronas on the beach are less than $2 CAD and you can take buses to nearby towns for just a few dollars. Compared to the cost of living in Canada, Puerto Vallarta and the Riviera Nayarit is incredibly affordable. A couple could easily live comfortably here for just over $1300 CAD / month including food, accommodation, and entertainment. There is a great community of Canadian retirees, expats and travellers here and this is largely due to the high quality of life, at a low-cost. 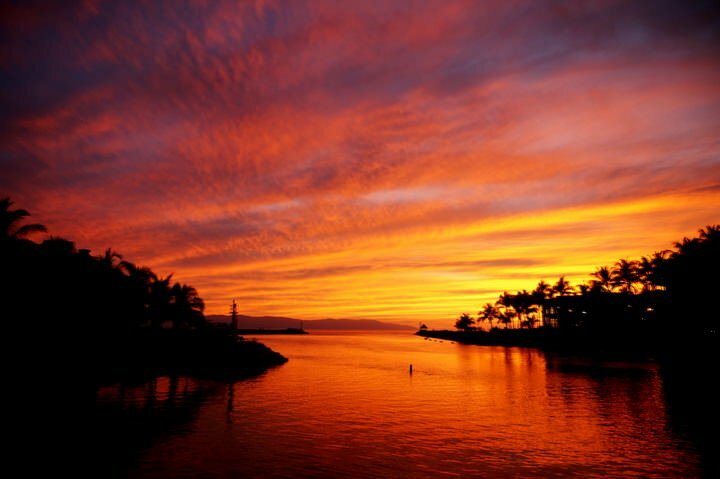 Puerto Vallarta is frequently named one of the top cities to live in the world on a variety of lists including the list of best cities for North Americans to retire in. With so many amazing flats, apartments, houses, casas and casitas, you couldn’t pick a better area to relocate to. The winters are warm here, the air is clean, the people are smiling and the food is delicious. So pack your bags and start thinking about your new home in paradise! Don't subscribe All Replies to my comments Notify me of followup comments via e-mail. 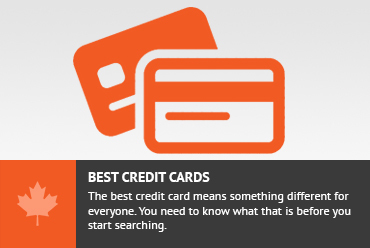 You can also <a href='https://www.creditwalk.ca/comment-subscriptions/?srp=3777&srk=2648578ecea05c83754707575dc5a494&sra=s&srsrc=f'>subscribe</a> without commenting.